People in Bexhill are being urged to beware of a postal scam spotted by a local man. His suspicions were aroused after he got a letter telling him he had won £720,000. It claimed to come from the Euromillions International Postcode Lottery and said that a mix-up of names and numbers meant the tax-free fortune was his. But to get it, he was asked to contact a foreign service manager and provide various details to process the win. Despite its official appearance and having the vice-president of the International Lottery Promotions as its signatory, the letter did not fool its recipient. 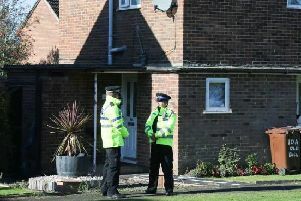 He reported it to Bexhill Police and prompted a warning to others who might get a similar letter to be on their guard. Sergeant Mark Evans said: “It’s very tempting to reply - who wouldn’t want to win such a wonderful prize? Sgt Evans added: “All information is good information when tracking down those responsible for the network of scams that continue to plague people, and particularly elderly people.